In recent years, the eye care world has become excited about scleral contact lenses. Scleral contact lenses are large rigid gas permeable (RGP) lenses that not only cover the cornea but also extend to cover a large part of the sclera, the white part of the eye. A typical rigid gas permeable lens averages about 9.0 mm in diameter. Scleral lenses vary from 14 to over 20 mm in diameter. Achieving a comfortable fit with a typical rigid gas permeable lens is sometimes difficult due to the natural curvature of the cornea. However, a scleral lens sits on the sclera instead, so the curvature of the lens plays a lesser role in the way it fits. Scleral contact lenses are usually more comfortable to wear than smaller RGP contact lenses. The cornea is filled with thousands of nerve fibers that make it very sensitive to the environment. Because it is so sensitive, most people can feel a regular contact lens as it moves around on the eye. A scleral lens rests mainly on the conjunctiva and sclera. The conjunctiva is much less sensitive than the cornea, producing much less awareness and discomfort. A patient who finds a rigid gas permeable lens intolerable may be able to wear a scleral lens easily with little to no discomfort. Another benefit of wearing a scleral contact lens is the capability of the lens to produce clearer vision. Because a scleral lens does not sit directly on the cornea itself, a tear fluid reservoir is created underneath the lens. This reservoir functions to protect the cornea and may act as a cushion. Also, some eye conditions, such as keratoconus or pellucid marginal degeneration, cause the cornea to become highly irregular and sometimes very steep. Regular corneal lenses are difficult to center on an irregular cornea. However, it is almost impossible for a scleral lens to decenter because it overlaps so far off of the cornea. Are Scleral Contact Lenses New? Interestingly, the very first contact lenses ever developed in the late 1800’s were scleral contact lenses. The biggest roadblock scleral lenses faced in becoming a popular method of correcting vision or eye disorders was materials. 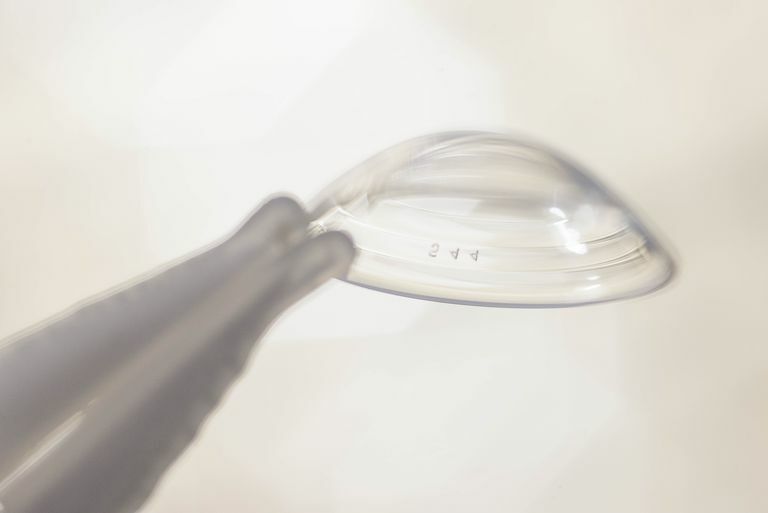 These first lenses were made of plastic and glass and did not allow oxygen to flow through or around the lens to the cornea. Therefore, the lenses were made much smaller and were designed to sit only on the cornea. However, these lenses sometimes caused significant corneal distortion or irregularity in patients with eye surface disease. It was also difficult to design the perfect curvature needed to fit the cornea precisely. Modern computer technology has revolutionized this manufacturing and design process. Van der Worp, E. A Guide to Scleral Lens Fitting. Scleral Lens Education Society; 2010.